This is situated in the Cuddalore – Chittoor trunk road, 37 km from Villupuram and about the same distance from Thiruvannamalai. This town has two parts Kizhur and Melur. 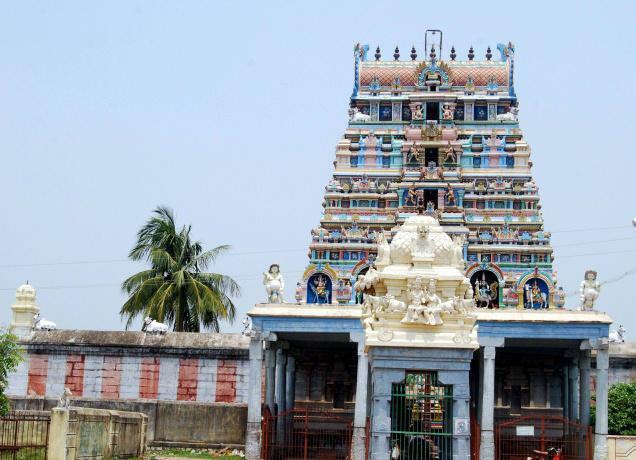 While Ulagalandha Perumal temple, one of the 108 Divya desams is located in Melur, the Veeratteswarar Temple, one of the 275 sacred Thevara temples is located in Kizhur. This is the birth place of Rajaraja chola. Meiporul Nayanar ruled this place. Thirukovilur is one of the 1008 Divyadesams. It is in villupuram. With a view to teach a lesson to a king proud of his high charitable nature, Lord Vishnu came to earth in the form of a dwarf. He is seen in the temple with his left leg measuring the sky and the earth by the right leg. Generally, the Lord is seen in all the temples holding his wheel in the right hand and the conch in the left. In Thirukovilur temple, Lord Trivikrama is holding them vice versa. It is said that in his delight to see the king reformed embraced him. It should be understood that the Lord graces the devotee with wisdom. One of his right hands looks as if asking Mahabali for the land for the third step. The body of the Lord is of wood. In no shrine the Lord is so tall in a standing position as in Thirukovilur. This place, being maintained by the state Archaeological Department, is near the Veeratteswarar temple and is situated in the middle of the river Pennayar. After the death of Pari, the King who is said to have given his chariot to a jasmine creeper for its support to grow, his daughters Angavai and Sangavai had suffered a lot. The saint poet Kabilar, a good friend of Pari and the caretaker of the girls could not bear the pain of the sufferings of the girls had immolated himself on this rock. 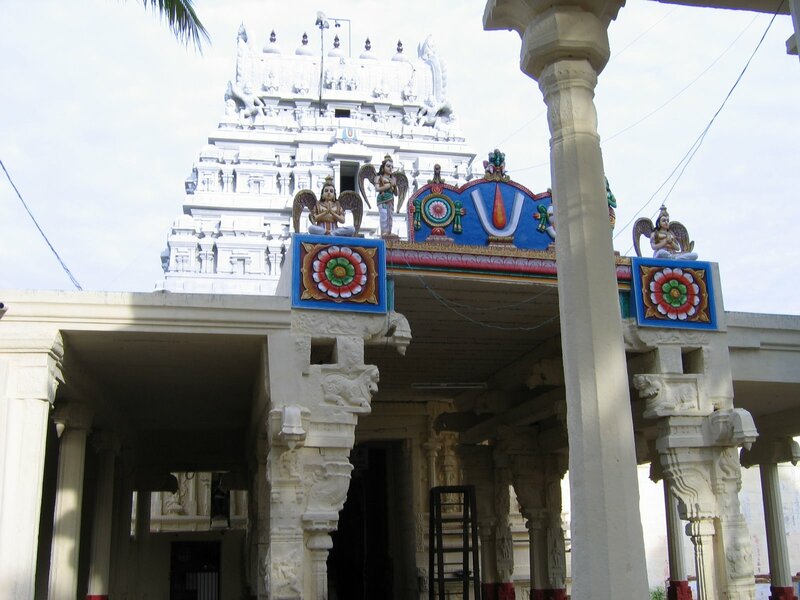 This temple dates back to the first Yugam (Kretha Yugam) and the first Avathaaram (Matsya Avathaaram). Hence, this Kshetram is referred to as ‘Adhi’ Rangam.